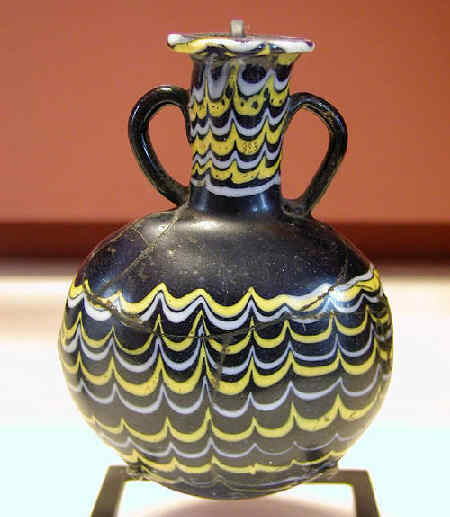 A small decorated glass jar from the New Kingdom Period possibly from Amarna. Louvre Museum, Paris, France. 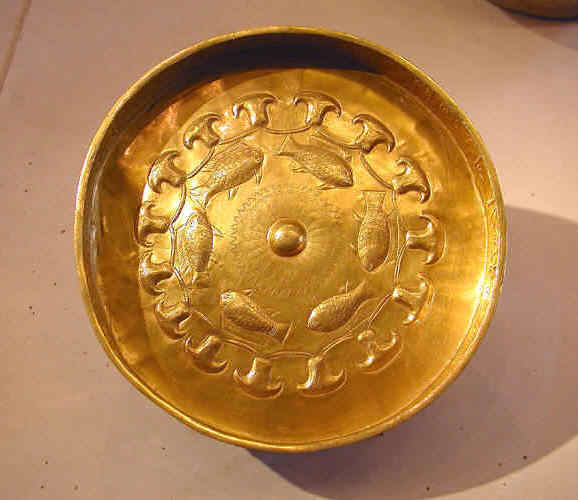 A solid gold bowl from the tomb of the General Djehuty. He served the Pharaoh Tuthmosis III. His tomb was found at Saqqara in 1824 but the contents were distributed and the site of the tomb is now lost. Louvre Museum, Paris, France. 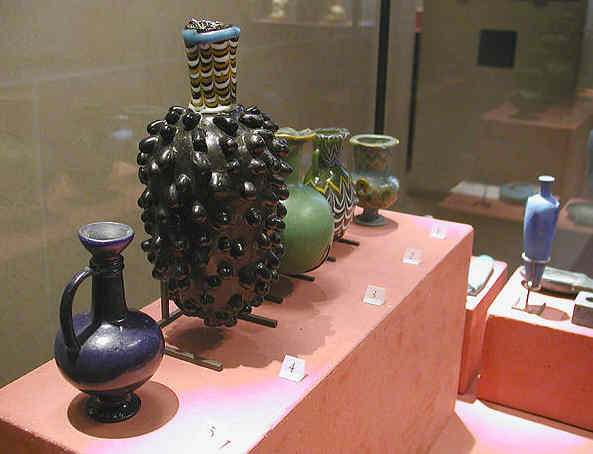 Vases from the 18th Dynasty. Louvre Museum, Paris, France. 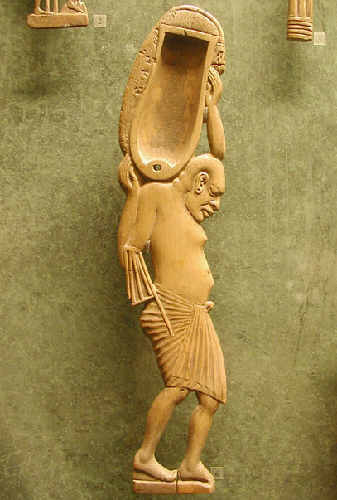 Wooden figure of an Asian servant. New Kingdom. Louvre Museum, Paris, France.